Portrait of Maquoketa will be shown October 19th, 2019 through February 4th, 2020 at the Figge Art Museum in Davenport, Iowa. 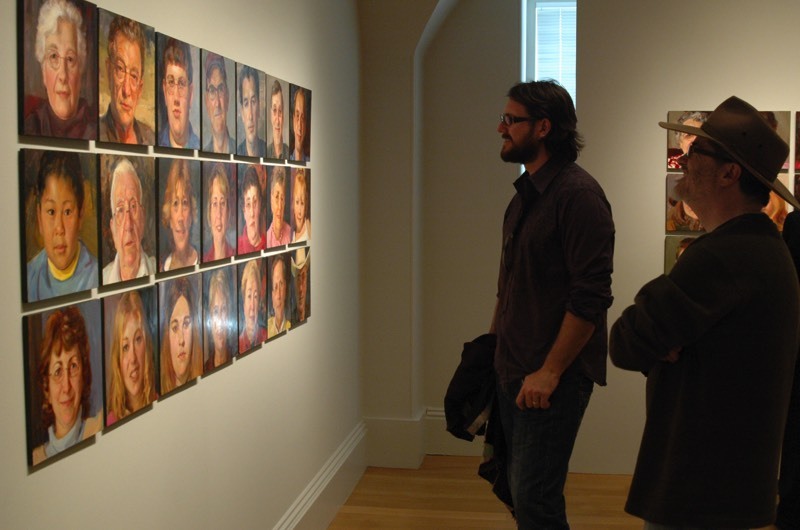 The Brunnier Art Museum at Iowa State University in Ames, IA premiered Faces of Iowa State, an ongoing project that currently features 39 four-hour portraits of Iowa Staters including students, faculty, staff, alumni and others members of the university community. 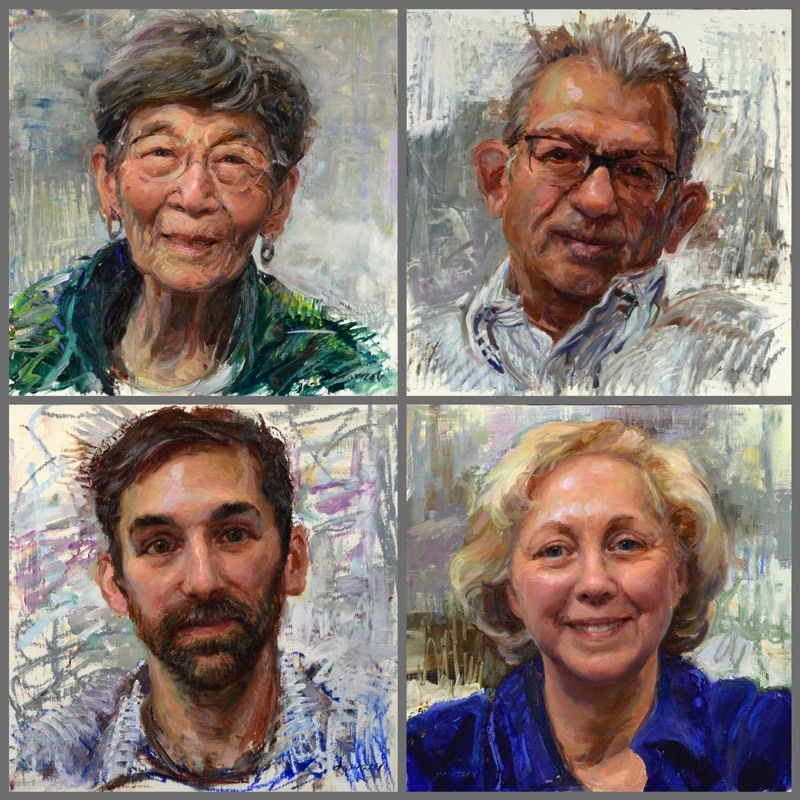 Iowa State commissioned Rose to paint the first group of portraits on location at the 2016 Iowa State Fair. She returned to the ISU campus twice in 2017 to continue the project. The exhibition toured the state of Iowa with exhibitions at Maquoketa Art Experience, December 9, 2017-February 12, 2018, Maquoketa, Iowa; Muscatine Art Center, February 15-April 15, 2018, Muscatine, Iowa; Pearson Lakes Art Center, April 26-June 23, 2018, Okoboji, Iowa; Blanden Art Museum, August 4-October 14, 2018, Fort Dodge, Iowa; and Harvester Artspace Lofts Exhibit Gallery, November 4-December 31, 2018, Council Bluffs, Iowa. The Brunnier Art Museum at Iowa State University in Ames, IA exhibited Do You Know What’s Inside This Flower? George Washington Carver Mentors a Young Henry A. Wallace, which was commissioned by the Iowa State University College of Agriculture and Life Sciences and the University Museums. 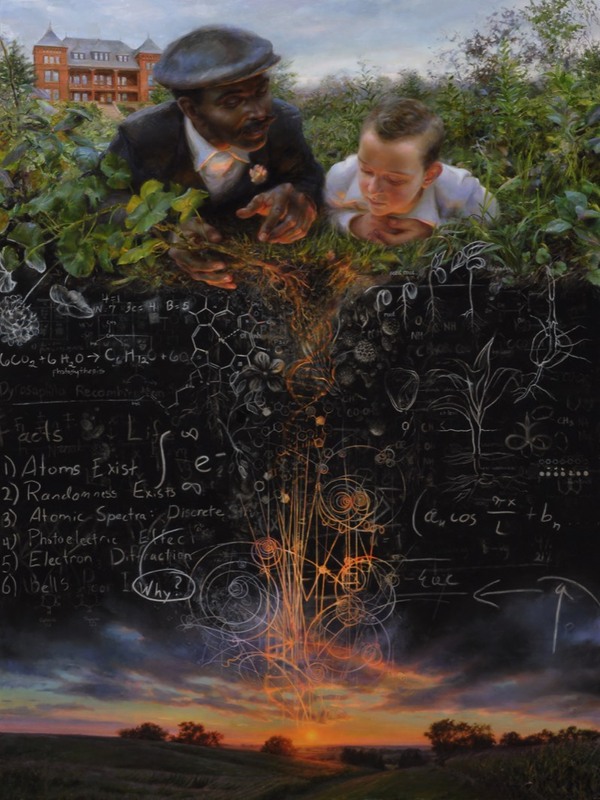 The piece is in the permanent collection of the University Museums. 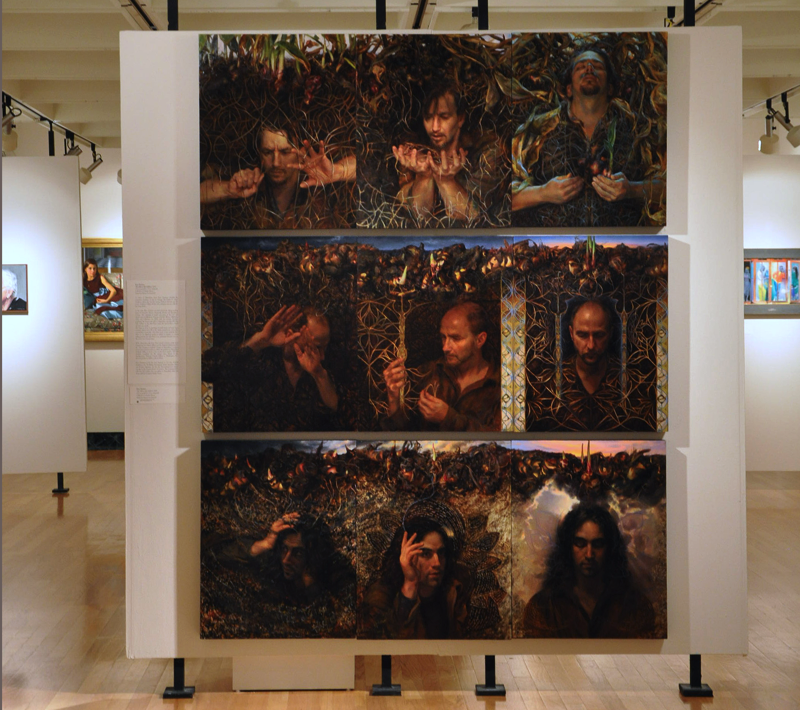 The Cedar Rapids Museum of Art has acquired the Dormancy Series: Recoil, Convergence, Approach triptych for its permanent collection. In 2012/2013 Portrait of Maquoketa was shown at the Figge Art Museum in Davenport, Iowa and included a 315 square foot landscape view of Maquoketa painted by Rose to complete her full vision for this portrait of her town. The landscape is broken up on 34 vertical panels suspended from the ceiling and arranged in such a way that when a visitor sits at one end of the installation, all of the panels coalesce into a unified view of Maquoketa as seen from the hills outside of town. On the other side of the landscape panels all 180 portraits that Rose painted of her townspeople are displayed. 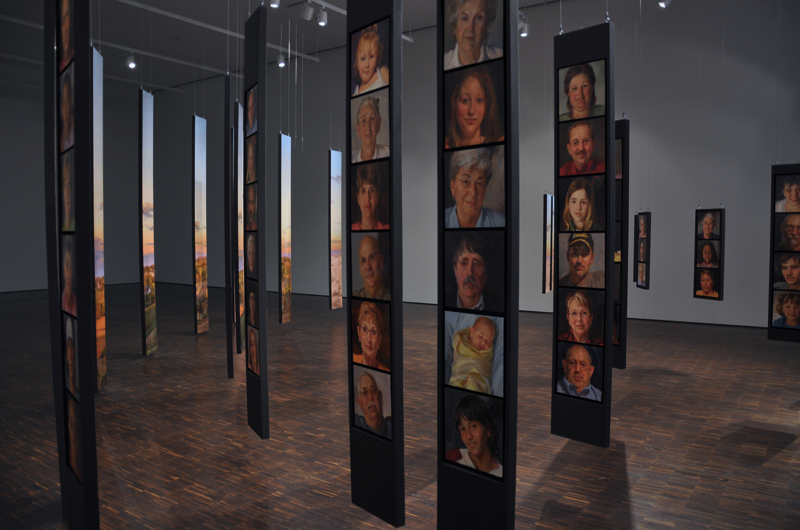 The Figge Art Museum has purchased Portrait of Maquoketa and is alternately showing and traveling the installation. Portrait of Maquoketa’s 180 portraits had an eight month showing at the Smithsonian's National Portrait Gallery in Washington, D.C. in 2009/2010. Dormancy Series was shown at the Butler Institute of American Art's "Inspiring Figures" show in 2010. 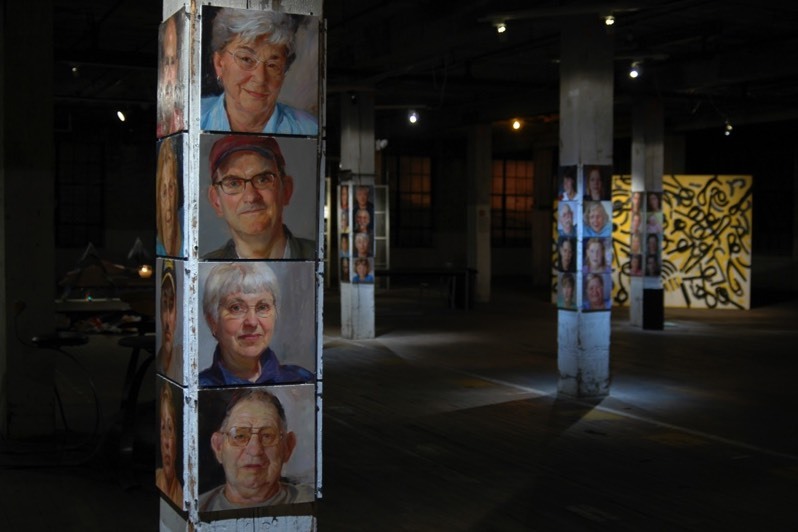 The first 62 portraits from Portrait of Maquoketa were shown at the Dubuque Museum of Art's "Voices” show in 2005.